I have been salvaging parts from sold old electronic pieces lately, but mostly I seem to be creating chaos. I added a wing to my computer desk to give me an inside work space for delicate electronic work. 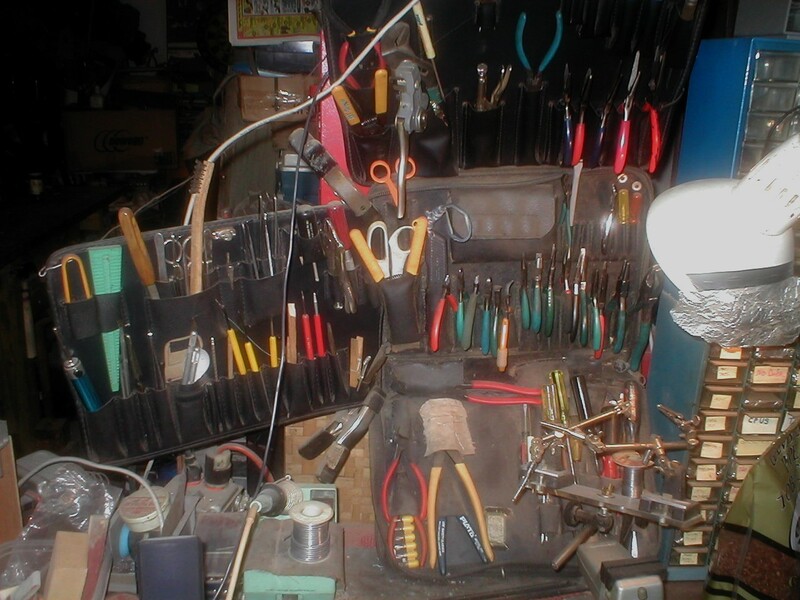 But I keep bringing tools in from the workshop, and I don't (yet) have it very well organized. Enter the tool holder. I am thinking a little stand that i can hold the screwdrivers and pliers that are currently hanging on the bench. Step 1: It Is Working! A little more sanding and some wipe-on poly. The screw holes were plugged with contrasting wood plugs. This isn't cabinet quality, but I wanted it to look good. The mahogany and maple make a nice contrast, even if the sanding is a pain. And my desk looks organized! The first step was to organize the materials. I tend to scavenge a lot of hard wood for use in woodworking projects. I keep saying I am going to use the scraps in the wood stove, but they seem to end up in the workshop. I screwed the mahogany feet onto the maple legs so I don't have to worry about loosening. Wood sces will be covered with mahogany plugs. A technique I learned from my grandfather. I am using tool pallets right now for my electronics workbench. Before that I kept a lot of tools in a cup.